The law firm Brydon, Swearengen & England P.C. 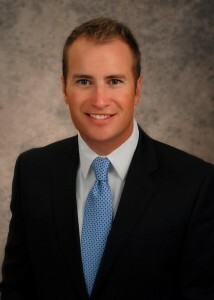 is pleased to announce that Matthew D. Quandt has joined the firm as an associate. Matt is a 2012 graduate of the Washburn University School of Law in Topeka, Kansas and previously graduated with a Bachelor of Arts degree from Baker University in Baldwin City, Kansas. We are excited to welcome him to the Brydon, Swearengen & England team and know he will contribute a lot of talent and expertise to the law firm. To learn more about Matt, or to contact him directly, please visit the contact page and follow the directions for contacting attorneys directly.